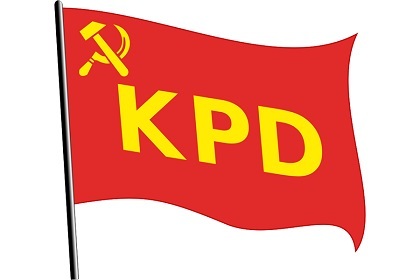 On June 11, the Communist Party of Germany (Kommunistische Partei Deutschlands–KPD) was reestablished in the Soviet zone under a German leadership that, for the most part, had lived for years in Moscow. Wilhelm Pieck was its chairman. 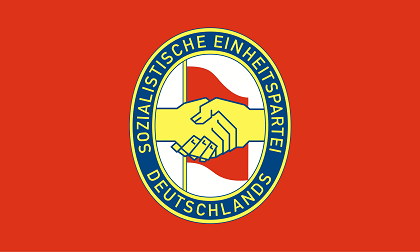 Shortly thereafter, the Social Democratic Party of Germany (Sozialdemokratische Partei Deutschlands–SPD) was also reconstituted, under the leadership of Otto Grotewohl. 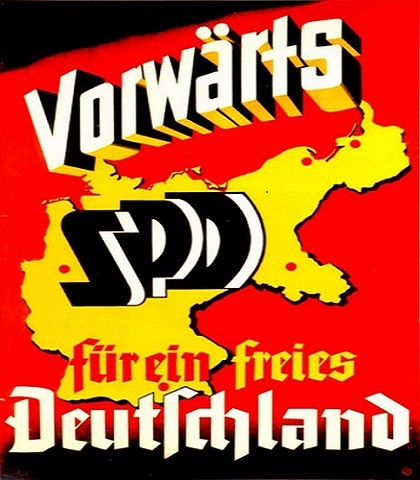 When it became obvious that the SPD would emerge as the most popular leftist party in the Soviet zone, the Soviet authorities forced the merger of the KPD and the SPD in April 1946 and subsequently, from this merger, the formation of the Socialist Unity Party of Germany (Sozialistische Einheitspartei Deutschlands–SED). The Communists clearly had the upper hand in SED leadership. Vigorous resistance to the merger of the two leftist parties came from Social Democrats in the Western zones, led by Kurt Schumacher, a veteran Social Democratic politician and member of the Reichstag during the Weimar Republic and a political prisoner during the Third Reich. As a result of this principled opposition to Communist control, the rebuilding of the SPD in the Western zones took a separate course. The SED sought to retain the image of a political force open to the masses, and it governed through the active participation of its members. It also competed with other parties in regional elections. After the Land elections of October 1946 in which the SED failed to obtain an absolute majority, the party resorted to different tactics in order to secure its grip on the electorate. SED leaders created an Anti-Fascist Bloc consisting of all political parties that was to guarantee the introduction of an antifascist and democratic order in the Soviet zone. From the very beginning, the SED could veto any proposal from any other bloc party not in accordance with its ideals for a socialist society. As a result, the two other political parties authorized in the Soviet zone were purged of their leadership, and their party programs were realigned in support of SED goals. The two other parties were the Christian Democratic Union (Christlich Demokratische Union–CDU), which represented middle-class interests, and the Liberal Democratic Party of Germany (Liberal-Demokratische Partei Deutschlands–LDPD), which represented the liberal political tradition that dated back to the late 1840s. Two additional bloc parties were established in 1948 in the Soviet zone to represent groups still without a specific political party. 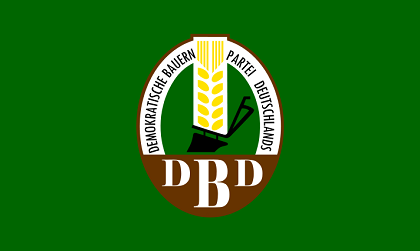 The Democratic Peasants’ Party of Germany (Demokratische Bauern partei Deutschlands–DBD) was formed to prepare farmers for the planned land reform, which would involve extensive nationalizations. 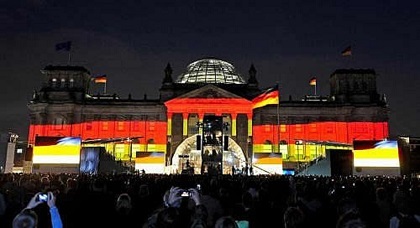 The second party, the National Democratic Party of Germany (National-Demokratische Partei Deutschlands–NDPD), was to work at reintegrating into a socialist society approximately 2 million people of right-wing views. The group included veterans and a relatively large number of former members of the National Socialist German Workers’ Party (National-Sozialistiche Deutsche Arbeiterpartei–NSDAP), Adolf Hitler’s party. The Social Democratic Party that operated in the Western zones was, in contrast to the Eastern SPD, markedly anticommunist. This attitude reflected a continuation of its bitter hostility to the Communists during the Weimar Republic. The reestablished party, headed by Kurt Schumacher and, after his death, by Erich Ollenhauer, could look back on a distinguished history of creating better living conditions for the working class within the context of parliamentary democracy. Although anticommunist, the SPD’s leadership still regarded the party as Marxist and remained committed to working for a socialist economy. As such, the SPD envisioned a neutral socialist Germany located between the capitalist economies of the West and the Soviet dictatorship of the East. The SPD was able to build on its extensive working-class membership, which predated Hitler’s seizure of power in 1933. For the conservative forces, the political beginning after 1945 appeared more difficult because of past fragmentation on regional and denominational lines. The persecution and suppression suffered during the Third Reich by conservative Catholics and Protestants alike gave rise to a unified Christian conservative party, which would represent all who opposed communism and socialism and who held traditional Christian middle-class values. At first, several regional political organizations formed in Berlin, Cologne, and Frankfurt am Main. 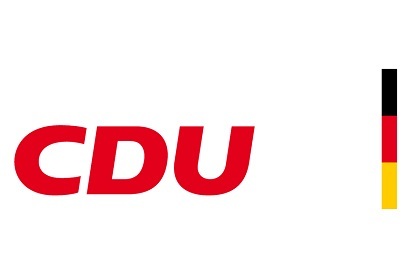 On December 16, 1945, it was agreed that their collective designation should be called the Christian Democratic Union (Christlich Demokratische Union–CDU). The Bavarian Christian conservative organization, the Christian Social Union (Christlich-Soziale Union–CSU), founded in October 1946, remained a separate party organization and kept its name even after the foundation of the FRG. It followed a more pronounced conservative ideological party line than the CDU. Even more difficult than the political unification of Christian conservatives was the consolidation of the liberal movement in postwar Germany. Traditionally, the liberals had been divided into a conservative national liberal wing and a more leftist-oriented liberal movement. There was also a reservoir of voters who understood themselves to be truly liberal in that they did not commit themselves to any ideology. Common to all of the party groupings, however, was the rejection of a planned economy. A number of independent liberal party groups existed for a time in southwestern Germany and in Hesse, Hamburg, and Berlin. In November 1948, most of them united in the Free Democratic Party (Freie Demokratische Partei–FDP), whose main figure, Theodor Heuss, became the first federal president of the FRG.